Cokers BBQ has a large Banquet / Party Room, which would be perfect for a vast range of event types. The room has a stage and podium area, as well as mounted TV on each side of the room. 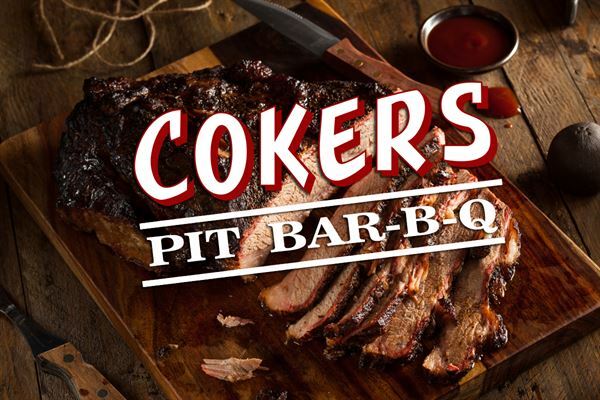 If you are in the process of planning your event, and are considering to host your event at Cokers BBQ. Then please get in touch with us, and we will personalize an event package that suits your specific needs. Click an option below that best suits your event, and within the next page you will be able to download a brochure and our menu, as well as request a planner to contact you directly. We look forward to serving your event, if you have immediate questions, please give us a call at *NOT DISPLAYED* . To book your event, we will require $100 for the room be secured for booking.